It is no secret that not all watches are created equal. They vary in price, functionality, materials, size, and — the area we tend to focus upon most in this series — history. But even those watches with a rich history don’t always use exploit it as a cornerstone of their appeal. Take, for example, Rolex, a brand whose watches are some of the most historic and iconic of any we cover, but remains one of the few brands that refuse to develop products that are direct homages to historical predecessors. 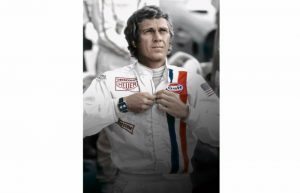 For some, this is disappointing: having a modern, Rolex-developed tribute to an early Daytona or Datejust is simply a dream not likely to come true. Others see the ethos of the brand differently — that every modern Rolex developed is unique to its time period and, by extension, more unique to its wearer. Not all brands share this mentality, however; tribute and homage pieces are very common in much of the watchmaking world today. For many brands, re-creating and reconfiguring vintage watches has become one of their most valuable and appealing assets in the modern market. 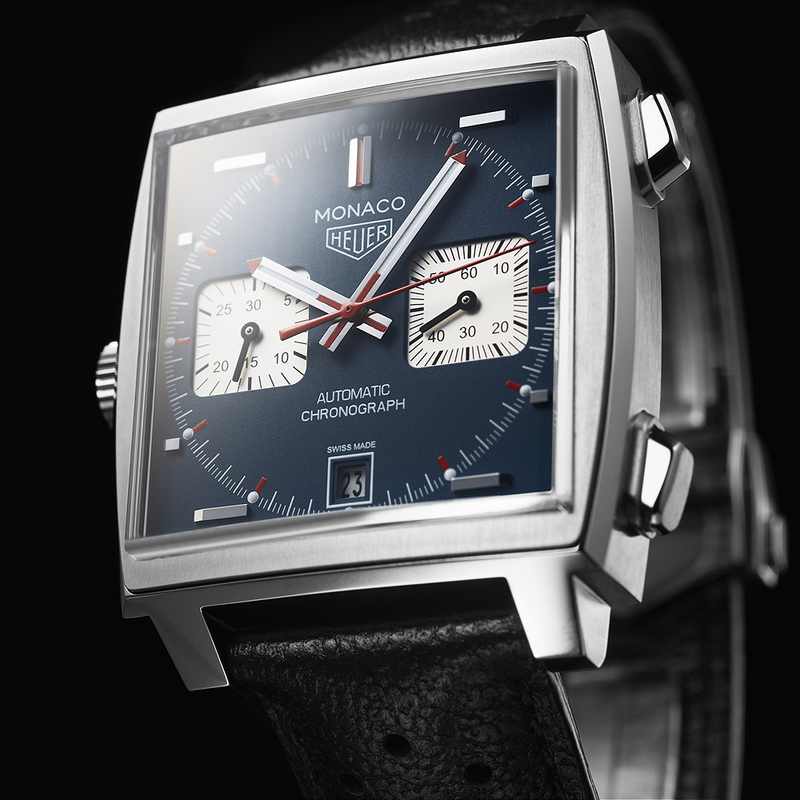 One of the brands that best takes advantage of this strength — while simultaneously pushing the envelope in other contemporary areas — is TAG Heuer. It has proven it can develop both almost amazingly inexpensive tourbillons and cool, modern designs within historical lineages, such as the recent Carrera release during SIHH week in Geneva. At the same time, it has garnered much attention from vintage-watch aficionados by producing an array of historical re-creations. Among these recreations is the TAG Heuer Monaco Calibre 11, a revival of the classic timepiece worn by Steve McQueen. 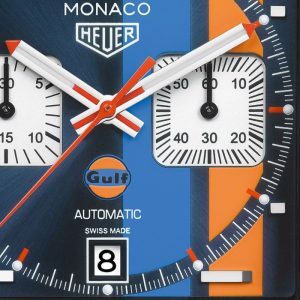 For those unfamiliar, the original Monaco (pictured above) was developed by Heuer (not yet merged with TAG) in 1969 at the end of a watch manufacturers’ “arms race” to produce the world’s first automatic chronograph. 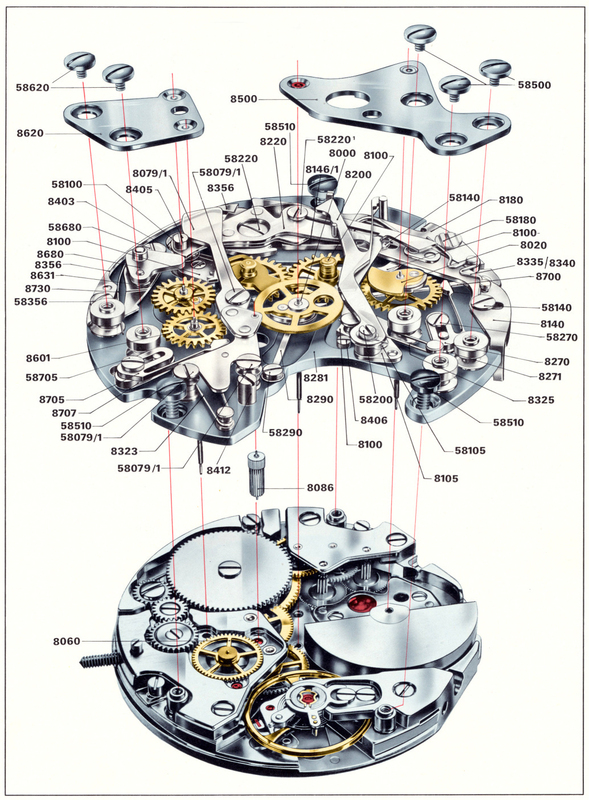 Heuer, along with Breitling, Hamilton-Buren, and Dubois-Dépraz, came together as the Chronomatic Group to produce the Calibre 11 movement (below), and shortly thereafter began to place the revolutionary movement in as many new chronographs as possible. Among them was the Monaco, which soon received an extra boost in fame by being the featured watch on McQueen’s wrist in the 1971 auto racing film Le Mans. 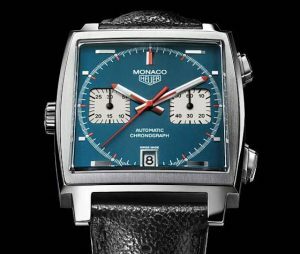 Since then, the Monaco has become perhaps one of the world’s most iconic watches; understanding this, the modern TAG Heuer has continued to place the series at the forefront of its portfolio. The most recent iteration of the Monaco is the vintage re-creation, the Calibre 11 (Ref. CAW211P.FC6356). 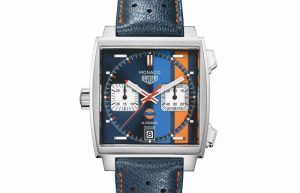 This watch uses a square, 39-mm steel case with angled chronograph pushers, and an extremely noticeable left-side facing crown to accommodate the automatic TAG Heuer Calibre 11 — the brand’s modern version of the famed vintage movement. On the matte blue dial are applied, horizontal hour markers; a date window at the 6 o’clock position; and the watch’s printed name and vintage corporate logo at the 12 o’clock mark. 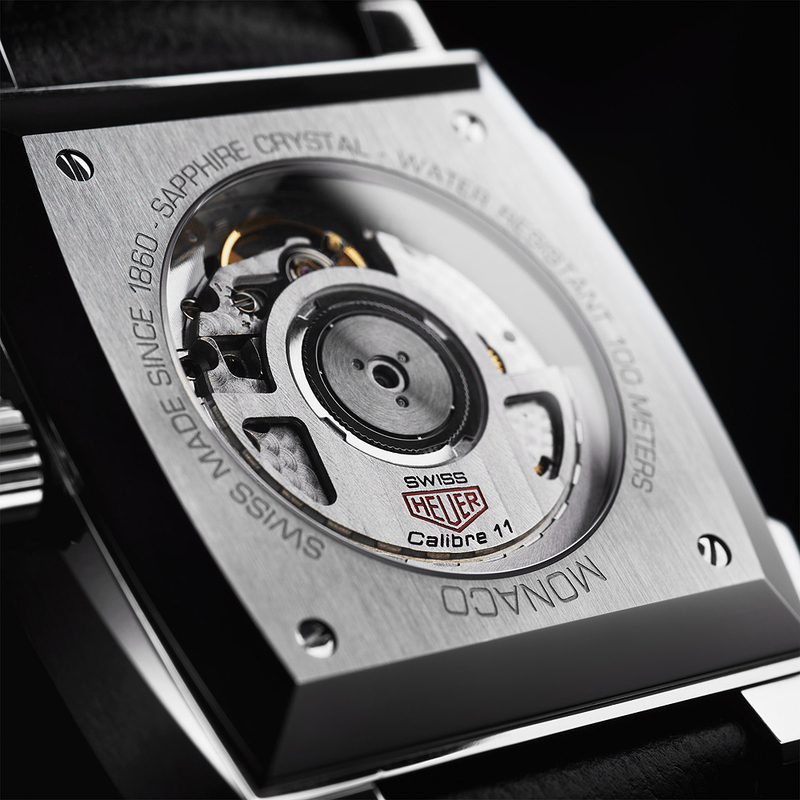 It uses two square subdials for a 30-minute counter and running seconds, and silver hour and minute hands featuring white and red accents. 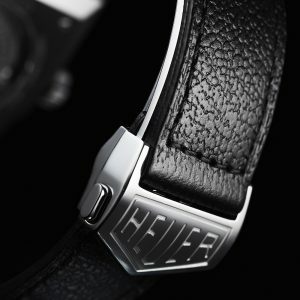 The movement is visible through a sapphire caseback, and holds a 40-hour power reserve, and the entire watch is strapped up on a black leather racing bracelet with a vintage-style “HEUER” buckle (as seen below). 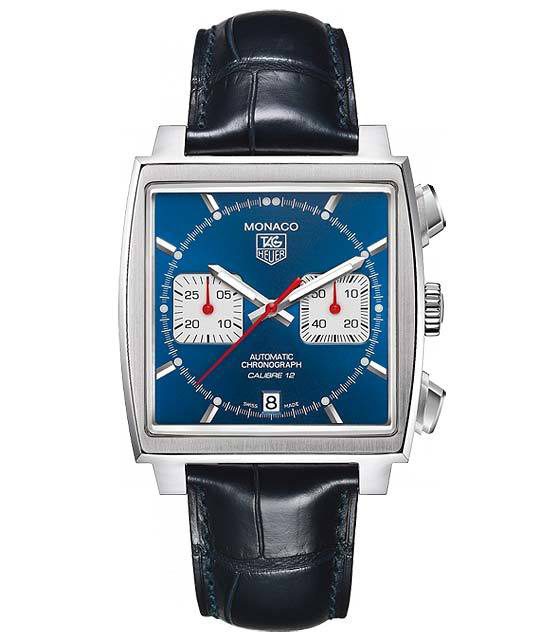 Currently, the watch is listed by the brand at $5,900. Comparing it to its vintage predecessor, there is little to note in the way of differences; so many aspects are shared between the historical reference and its modern version. With the left-side crown, the vintage logo, and the dial colors, this modern watch has done well to honor its forbear. The only real changes are in the modern materials, finishing practices, and movement. The case construction is of a higher quality, the edges of the piece seem somewhat more refined, and the modern watch, notably, has a sapphire caseback not seen on the vintage model. Lastly, the main flaw with the vintage piece was in its movement. 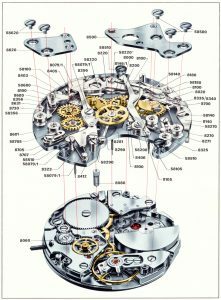 While the Chronomatic group did become the first Swiss company to mass-produce the automatic chronograph movement, that movement soon needed to be updated and adjusted because it was incredibly fragile. The modern watch obviously does not use this movement, and instead opted to apply the historical name to a watch with a thoroughly different caliber. If you have been a longtime reader of this series, you’ll remember the Monaco Calibre 12 (pictured above) was one of the first watches we covered. 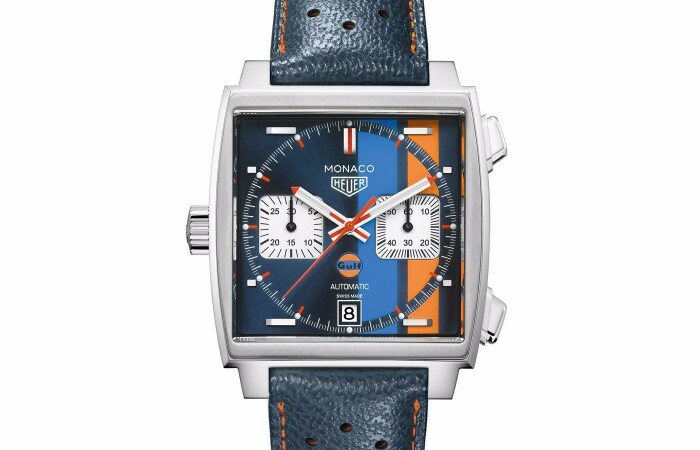 This watch, which is still currently in production, is the most modern iteration of the Monaco series and a design I felt TAG Heuer might have produced if it had the capabilities of doing so almost 50 years ago. I now take this statement back. Since I have written that article, I purchased a vintage Calibre 11 watch of my own — a Hamilton Chrono-matic Fontainebleau, to be more specific, which you can read more about from our friends at Monochrome—and have had a change of heart. There’s something special about these funky designs, odd case shapes, and unusual movements. Maybe it’s in the overall uniqueness of the piece, or the history behind the watch and its movement, but there is something special about them. 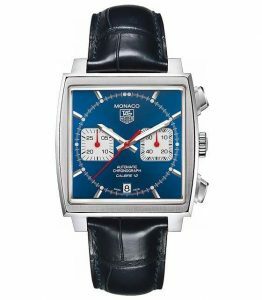 Take this “something” and add it to a watch like the TAG Heuer Monaco Calibre 11, a piece with much more a history and fame than my Fontainebleau, and the result is something brilliant.